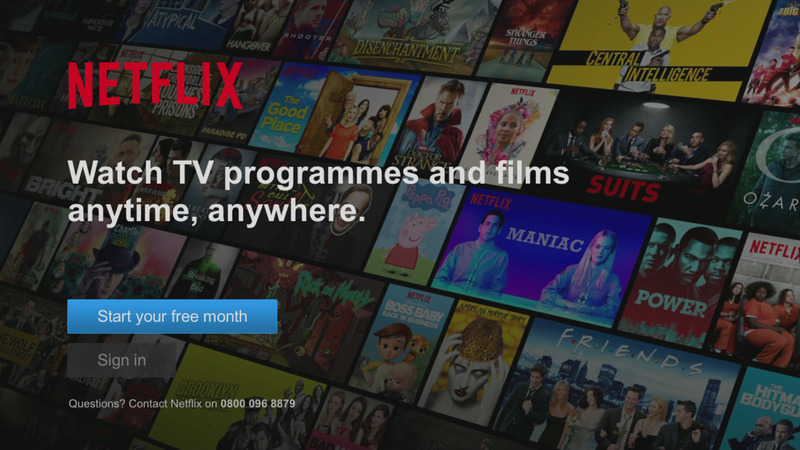 It’s easy to add Netflix to your BT account and watch it through your BT TV box: just follow our step-by-step guide. From Stranger Things to The Crown, Netflix is home to some of the most talked-about shows on TV. If you’ve got BT TV, you can add Netflix as part of your BT subscription and watch it through your BT TV box. There’s no need to set up payments with Netflix and the first month is free for new users. All you need to do is follow the three steps below, and you can binge-watch Our Planet when it launches on Netflix. If you already have a Netflix account, skip to Step 3 to start watching on a big screen and enjoying the extra features of Netflix on BT TV. Netflix offers three subscriptions: Basic, Standard and Premium. Basic lets you watch on one screen at a time and download videos to watch offline, on one phone or tablet. You can watch in standard definition on any BT TV box. Standard gives you HD-quality on two screens at a time. You can download to watch offline on two devices. To watch in HD, you’ll need an HD TV and any BT TV box. Premium lets you watch 4K and HD, on up to four screens at a time. You can download to watch offline on four phones or tablets. To watch in 4K, you’ll need our 4K box and a 4K TV. The first month will be free on any tier if you haven’t signed up to Netflix before, and you won’t be charged if you cancel before the end of the first month. 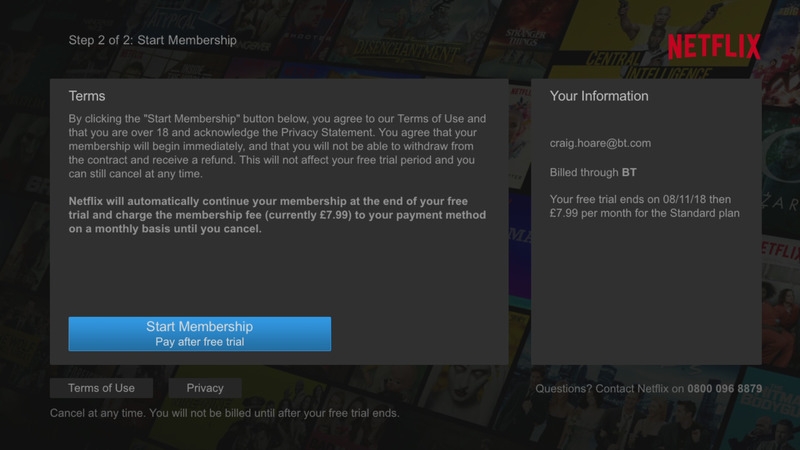 You can sign up to Netflix with BT in two ways: on your BT TV box or through your BT account online. On your BT TV box: Press the blue Home or Y button and go to Players & Apps. The Netflix app will be pre-installed and ready to go. Select 'Start your free month', enter your email address, change the default subscription tier if you need to, and you can start watching straight away. On the web: Head to BT TV Upgrades and log in, then scroll down to find Netflix under Extras. Choose your Netflix tier and complete the upgrade. You can also add Netflix to your BT account by phone: call 0800 800 150. You’ll receive an activation email from BT after you’ve added Netflix to your account. Follow the instructions in this to set up your Netflix account, and don’t forget to note the password you create. If you signed up using your BT TV box, then you’ll go straight into the Netflix app and you can start watching instantly. If you signed up online or by phone, or you already have a Netflix account, press the blue Home or Y button and go to Players & Apps. Select the Netflix app will be waiting for you. You’ll need to enter your email and password the first time you log in, then BT TV will remember your details in future. Your biggest decision now? How to choose from the thousands of films and TV shows on Netflix. Find out what’s hot in our monthly guide to What’s New on Netflix. 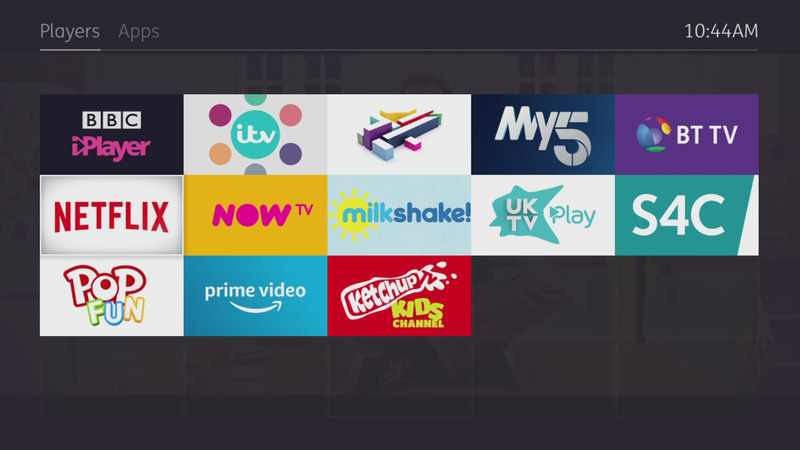 You can use the universal Search feature on your BT TV box to search for film and TV on all of your TV channels and apps, including Freeview, BT TV, and Netflix. As soon as you start watching, Netflix will start to make recommendations based on what you watch. You can improve this by giving shows a thumbs-up or thumbs-down rating. You can add your favourite shows to My List and you can use Netflix’s own Search feature. You can also subscribe to the free Netflix UK channel in the YouTube app on your phone, to discover upcoming shows and behind-the-scenes extras.